Multi-tasking was always my strength but now after becoming a mother that strength has increased exponentially. Along with multi tasking now I am getting a grip of optimum techniques in the household that save energy...'my energy' which gives me the liberty to pay attention to the blog while handling my baby, Arha. Well let's see what good I did in #HimsKitchen lately. 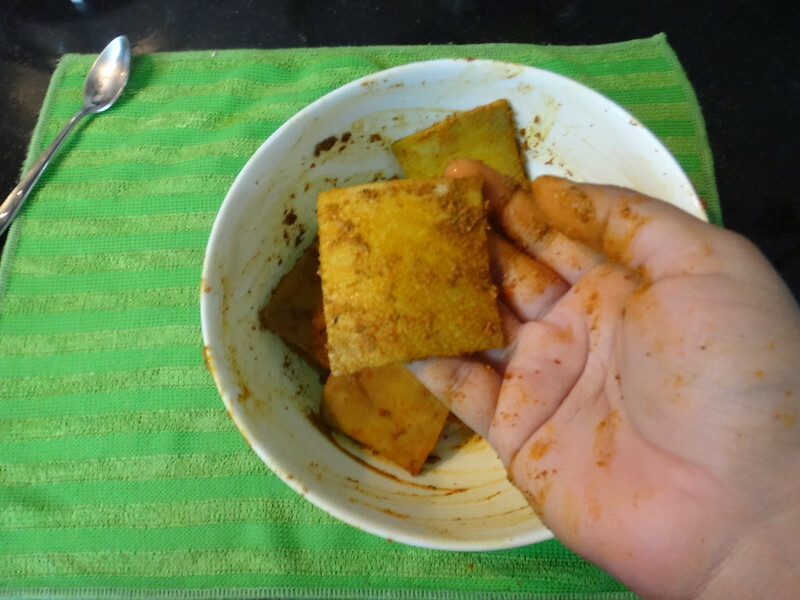 Those who are here for the first time, I am a lazy cook. I am always on the hunt for simple techniques,tips and tricks which gets food on the table, quickly & easily. When I mean easy it means few ingredients, less cooking time, must be healthy and loaded with flavour. Keeping this in mind, giving a tiny-weeny time saving twist to the otherwise lengthy traditional Suranache Kaap aka Elephant yam cutlets or fries. Caution: Being said that, Elephant yam is very itchy to handle and if consumed without a souring agent will also be itchy on the throat. 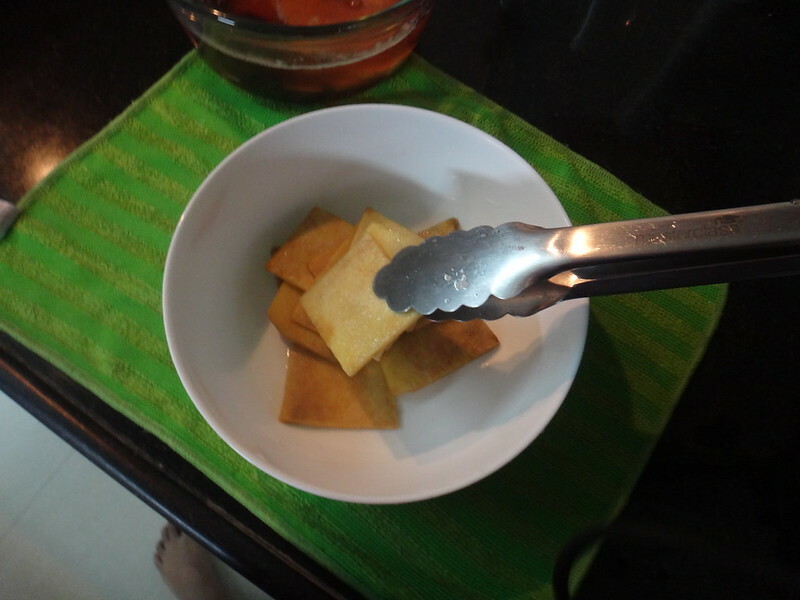 Hence, while cutting the yam make sure you have oil, tamarind or kokum scrubbed on your palms. 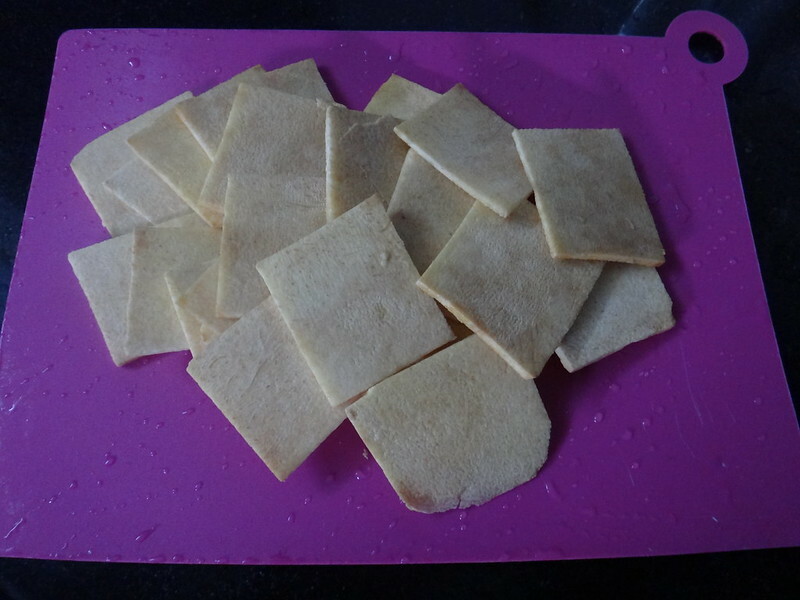 Tip one: Don't waste time in cutting the yam, buy ready-made cut & cleaned pieces. Q: Where do you get these cut pieces? 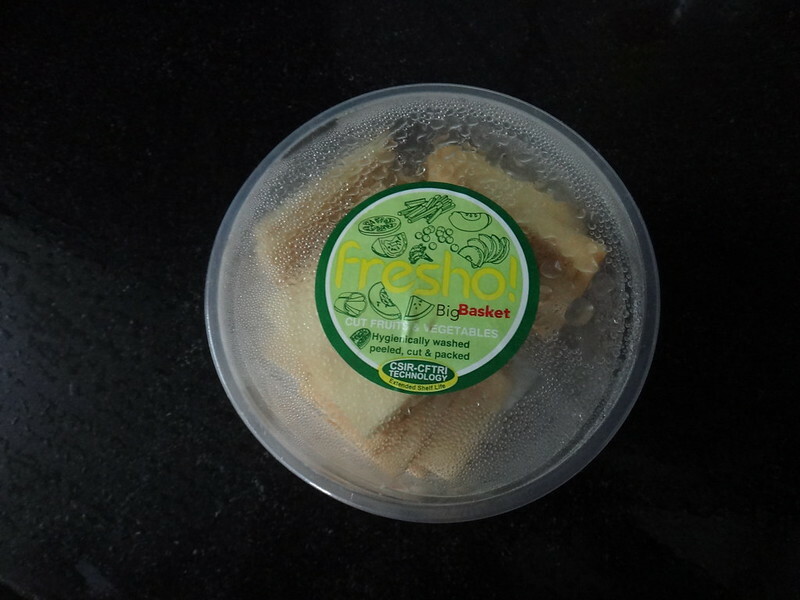 A: BigBasket.com Yes!!! I am a #bigbasketeer. Since when you would ask? More than 7-8 months. They are efficient and their return policy is very straightforward thus even if you do not like a certain product, they do not ask any questions, they take it back and refund the amount in you BigBasket Wallet. This made my life as a newbie mom much easy and also gave my husband rest from the weekly market treks. 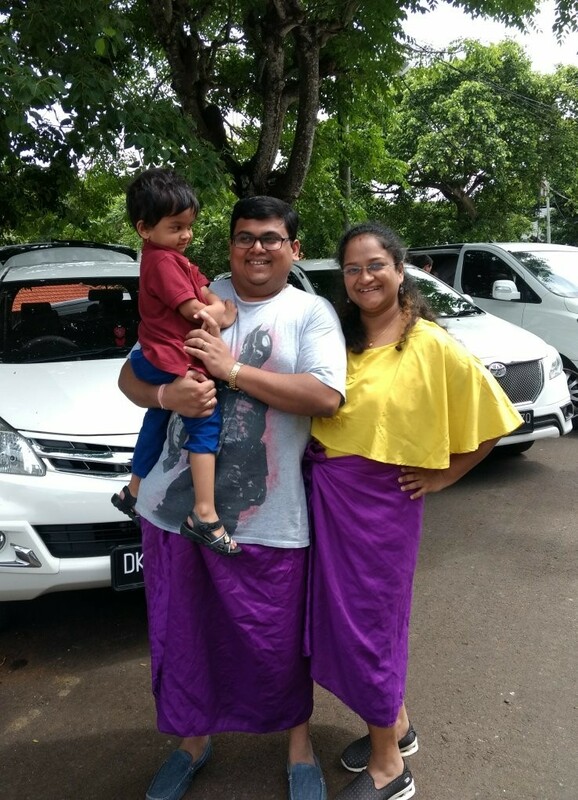 Thus both us got ample time to enjoy our new parenthood. Else you can always by from your local vegetable vendor who can help you with the yam cuts if requested. 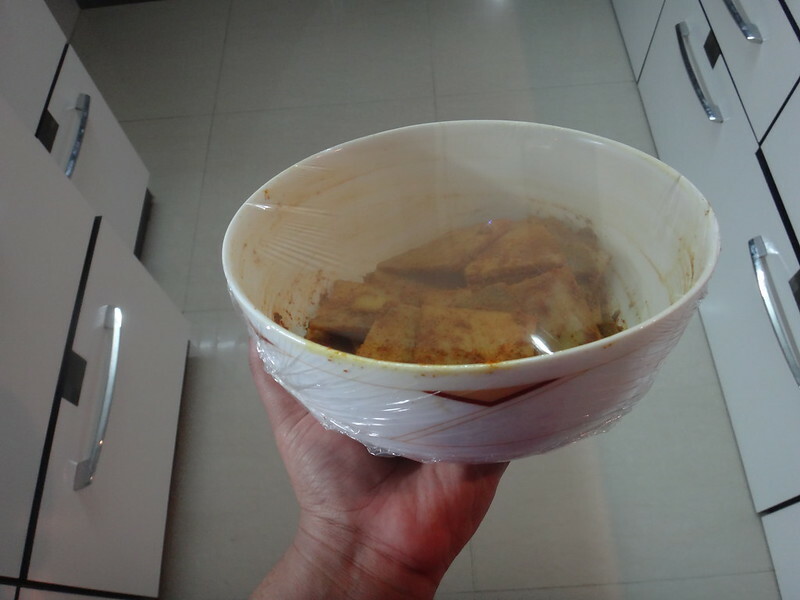 Q: Why to microwave the sliced yam? A: This process has three benefits. 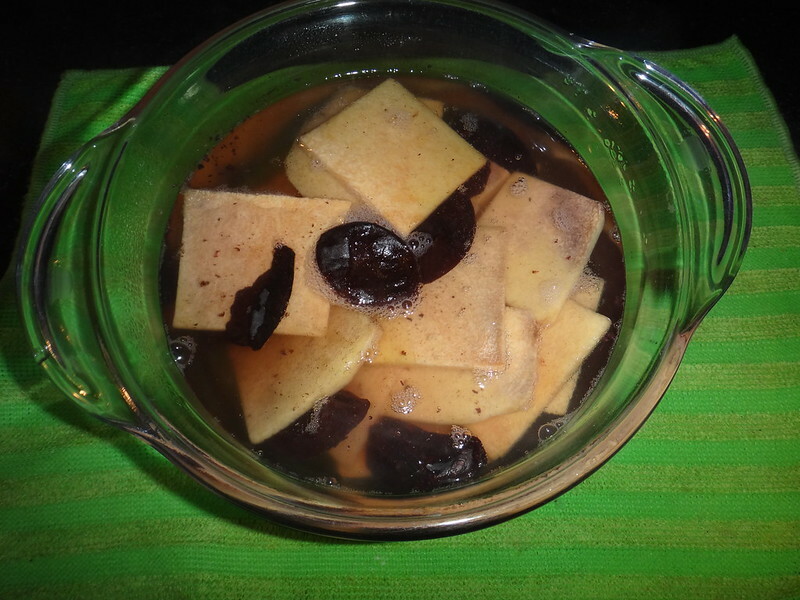 It infuses the tanginess of Kokum or Tamarind straight into the suran. Suran is almost al dente cooked. All this happens in 15 minutes thus can be served immediately. 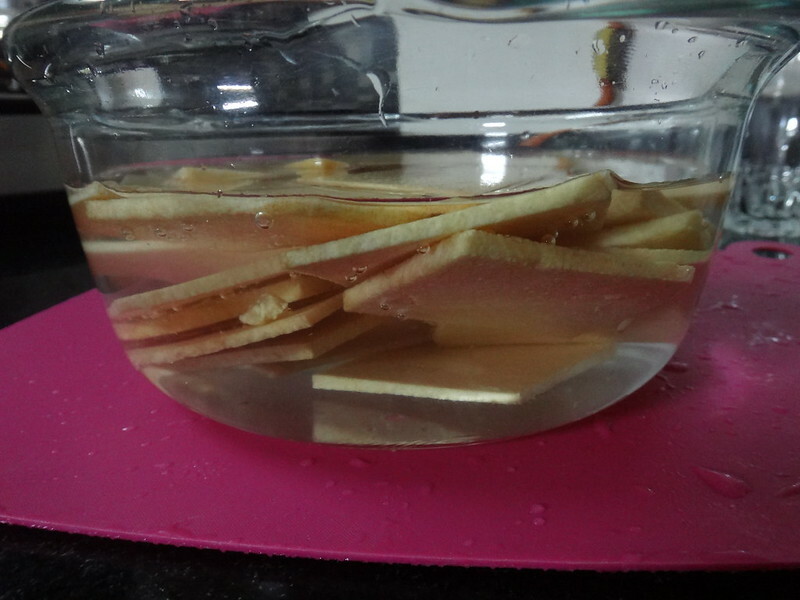 Get the par cooked slices out of the water bath. 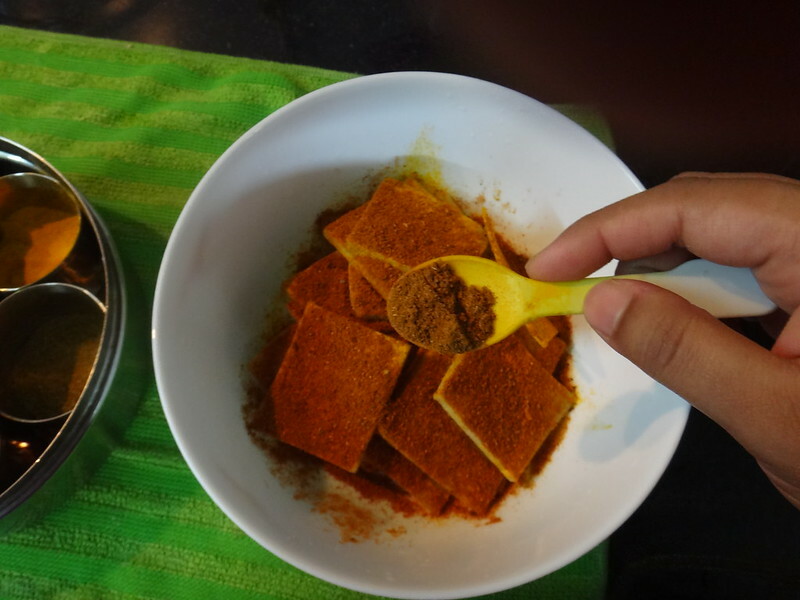 Marinate with home spices like turmeric, red chilli powder, garam masala or malvani masala and season it with salt and some chat masala. 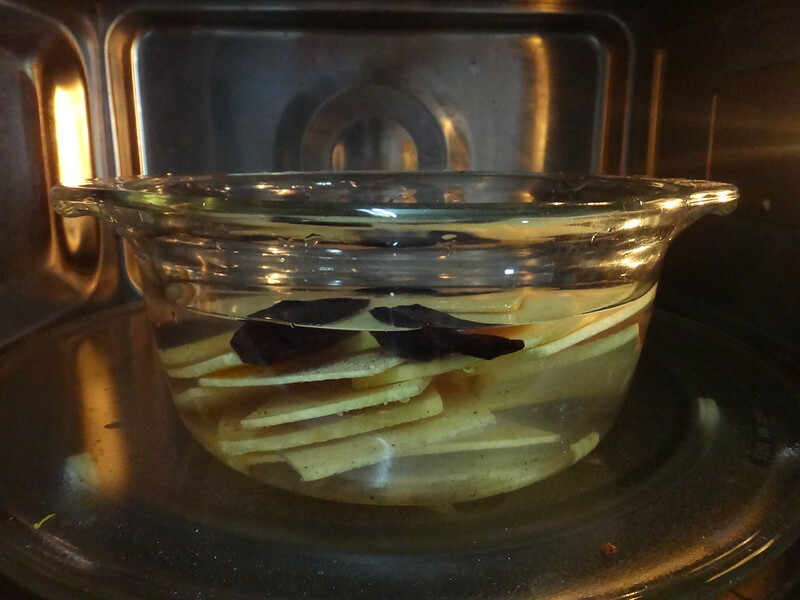 You can also sprinkle some wheat flour or semolina to make the chips more crispy. 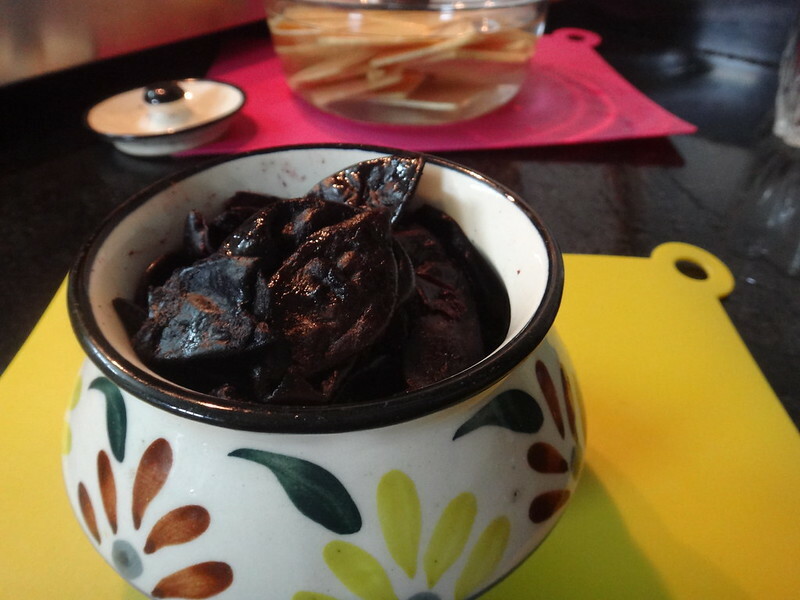 Since we have already infused the yam cuts with kokum you will not require to add lemon juice but you love that extra tingle on your tongue go ahead. 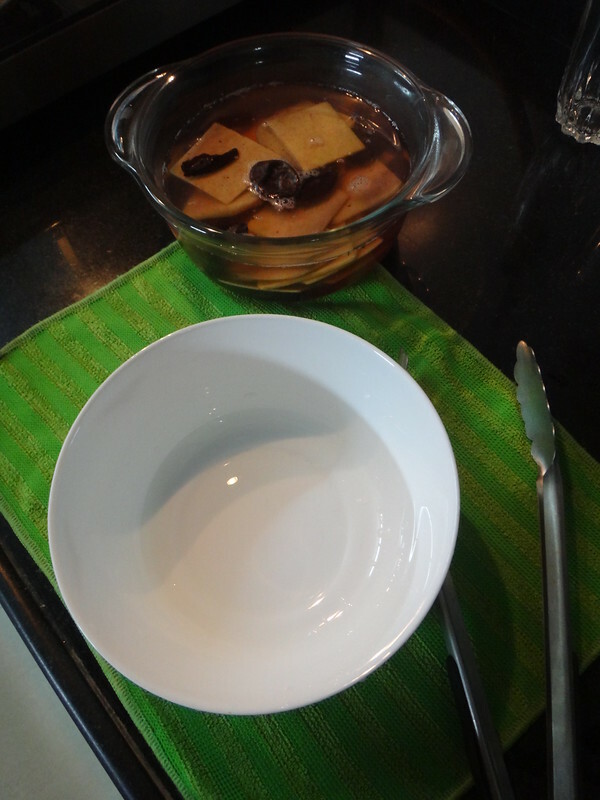 Tip Three: If you are serving this immediately then seasoning with salt else you can marinate these yam cuts and refrigerate till 3-4 days. 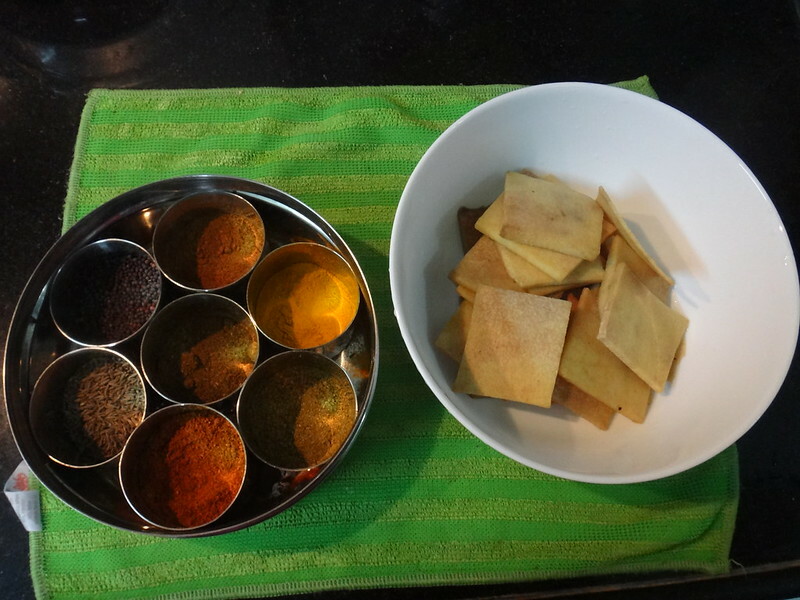 When you which to fry them just before season with salt so that the juices are not extracted. 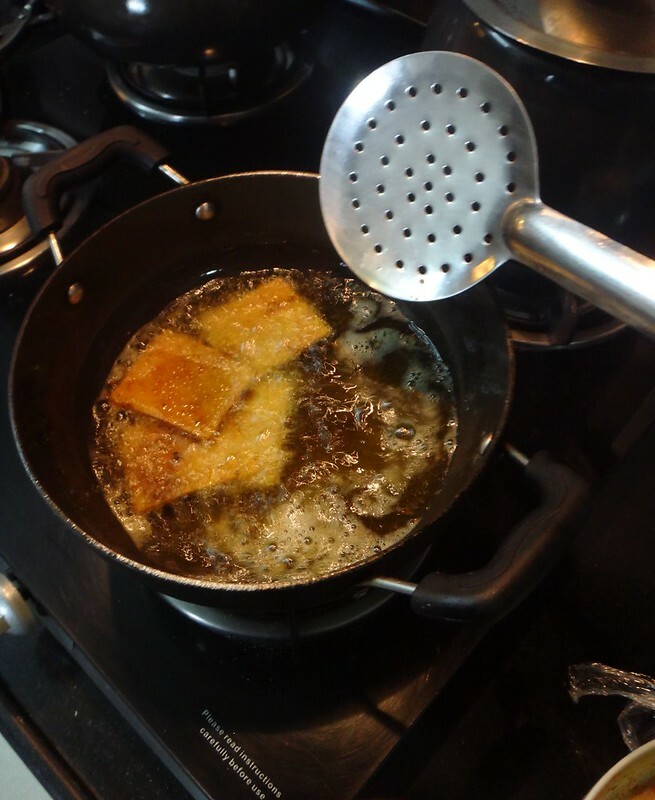 Shallow fry or deep fry the cut and Serve hot. 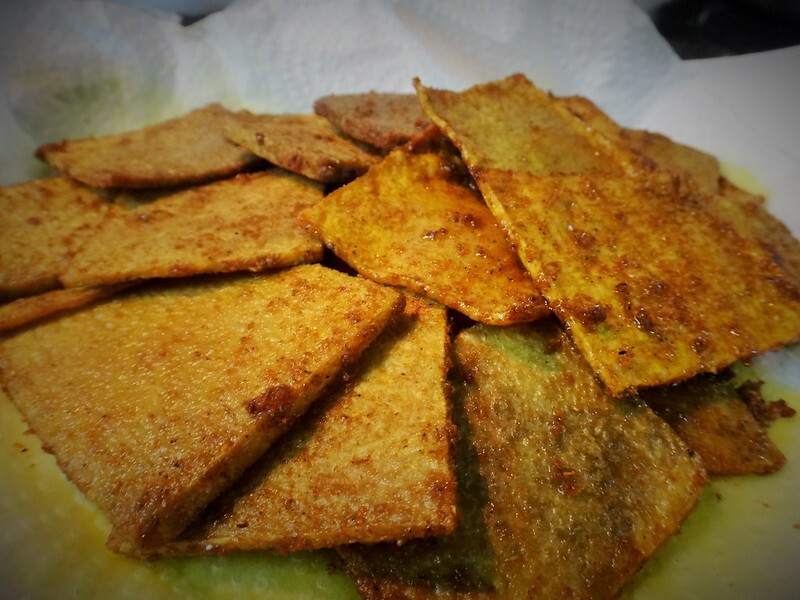 I usually shallow fry but I wanted to fry few papads as well hence deep fried the yam cuts.